You are here: Home / TOTO Drake II Review: Is it Low-Flow Toilet? TOTO Drake II Review: Is it Low-Flow Toilet? It’s not possible to do toilet cleaning every day since we all have to handle too many tasks in routine. So, if you search for an easy to clean toilet, you are not alone I also did the same last year. My search came to an end when I read many positive Toto Drake II toilet reviews. TOTO is not a new brand in our life. Our grandparents have been using it before we come to this world. TOTO toilet and bathroom products are a part of our lives. I completely rely on this brand when it comes to quality and reliability. But what makes it an appealing brand is its versatile design and quick tech adaptation. Its products are designed in a way to meet environmental standards in the best possible manner. Most of its toilet meets ADA compliance including TOTO Drake ii toilet and they also got WaterSense Certification for offering water efficient product. So, when you pick a product from this brand, you are definitely going on a right path. Now you know a little about TOTO, it’s time to come back to the point and discover the features which make it a useful product in a bathroom. To be honest, Drake II style is not very modern but you can’t be categorized it as a boring or traditional one. The sleek surface and smooth lines make it a good choice for a normal bathroom. Its elongated bowl comes with CeFiONtect –ceramic glaze which keeps the surface super neat and clean after every use. This toilet meets ADA compliant that’s mean people of all age group can use it with great convenience, no need for any specialization and additional adaptations. Its computer designed fully glazed trapway remove waste quickly and keeps the bowl clean for next use. This bowl has universal height and therefore you can install it in any room. It is also suitable for a public bathroom. When it comes to tank decor, you will find a chrome trip lever with a standard toilet. But you have options to choose from a wide variety of trip levers such as polished Nickel, Polished Brass, and Brushed nickel. I bought the bone shade for my bathroom but you have four more options such as Ebony, Cotton, Sedona Beige and Colonial white. This seat of the toilet is designed with a Universal height that’s mean it is suitable for a person of any age group. When I read TOTO Drake II reviews, I came to know that some people complained about seat height. They thought that it wasn’t so comfortable and if one sat for a long time then his legs might lose sensation. My whole family has been using this toilet for more than 9 months and none of us faced this issue at all. So, don’t believe on these words if you read them. What makes Toto Drake II toilet different from its mate is its Cyclone Flush system. Actually, the bowl has double cyclone i.e. two outlets which create swirling water flow during flushing. It is also named as “Tornado Flush”. When you press flush button, two powerful nozzles create centrifugal cyclone rinsing just to remove waste build up and complete cleaning. Due to this double cyclone, your bowl will become clean in a matter of seconds. If you need a toilet that doesn’t require much cleaning from your side then Toto Drake II toilet seems like a great choice. It flushes everything very quickly. No matter you are going to get rid of tissue piles or solid waste, it won’t require you to move flush handle more than once. As soon as waste is removed from the bowl, it refills quickly. You can enjoy variable flushing ability through this toilet. When you hold the handle longer, you can get more of swirling flush that takes everything away from the flush. But its quick flush works also great. You don’t need to use the plunger at all, you can keep it safe anywhere. Drake II comes with WaterSense Certification, it means it consumes 20 percent less water than the current federal standard. It uses only one-gallon water per flush that makes this toilet water efficient. One important thing you should know about this product is that it is not super quiet and makes noise a bit. But don’t become a victim of negative Drake II Toilet reviews, which state that it is a very noisy toilet. It makes the sound but won’t disturb anyone. I faced this issue and found its solution. Actually, I installed this toilet own my own and that was the main reason behind its loud noise. But later I called a plumber and he fit the tank. Now I don’t hear any annoying noise. So, if you have this issue then you can solve it the same way. But don’t skip this toilet just because you read some bad Toto Drake II reviews. This toilet does the efficient cleaning, just proper installation is required. If you think you can follow all steps then don’t hesitate to do its installation by reading the manual. Else make a call to the local plumber. Expensive, but you get a valuable product for what you pay. 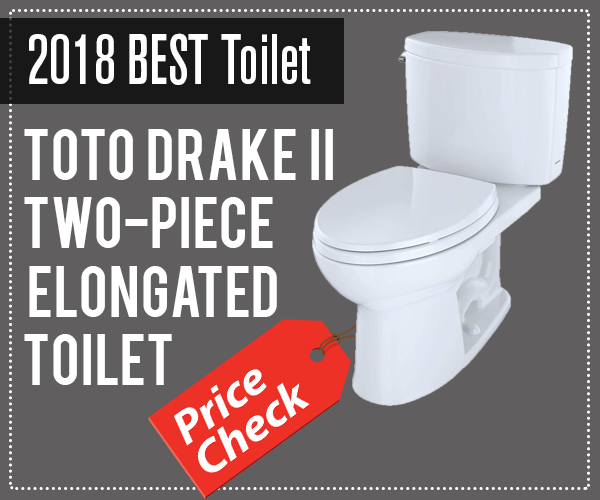 After reading Toto Drake II Toilet review, you might get an impression that this product from TOTO completely worth your next investment. It is super easy to clean and its CeFiONtect keeps the bowl neat all the time. You have to do less effort every day. 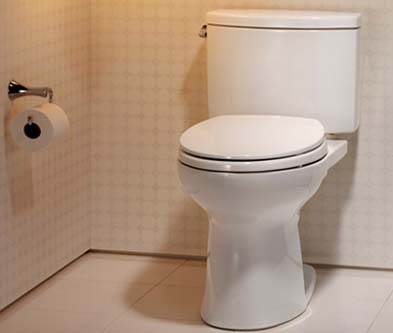 The best feature of this toilet is its double cyclone flush system or Tornado flush which use water efficiently while removing effluent as quickly as possible. Since it is designed with the latest technology, its cost is more as compared to the standard toilet but you will get the best product for what you pay for. Now it’s your turn to read its review and make a decision that suits your requirements. ShopToilet.com is a participant in the Amazon Services LLC Associates Program, an affiliate advertising program designed to provide a means for sites to earn advertising fees by advertising and linking to Amazon.com. Copyright 2018 © Shop Toilet · All Rights Reserved.